All Good Things is the fifth and final instalment of Emma Newman’s Split Worlds series. It is likely, by now, that you know whether or not you are on board with the style, characters, and plot, but as the final instalment of a successful series, we do have to ask: how well does she wrap it all up? I enjoyed this series. It is silly and incredibly easy reading. The characters are very flawed and the ‘messages’ embedded in the novels are, at times, painfully obvious and heavy-handed in their delivery. Then again, a lot can be forgiven for a yarn that is total escapism. And I forgave a lot, up to a point. All Good Things was a little disappointing for me for a few reasons. Over the course of the series, Newman has introduced multiple plot threads. My biggest problem with the final instalment is that many of these plot threads are dropped rather unceremoniously. Characters and politics that were central to previous books are mentioned as side notes here. While I appreciate that wrapping everything up in a neat little bow can also feel less than satisfactory, there was just too much that was almost forgotten entirely in this novel. As a result, I didn’t feel that All Good Things did justice to the Split Worlds series. At the end of the previous book, Cathy discovers Will has been magically manipulating her and runs to Sam for protection. If she was desperate to change the Nether and its lack of human rights at the beginning of the series, she is now dangerously determined. But how far will Cathy go to see her dream come true? And at what point does a singular goal blind you to other issues? The worlds were never meant to be split. Long ago, the sorcerers split the worlds as a way to imprison the fae, enforcing their rule over both mundanus, Exilium, and the Nether. With the help of Bea, the powerful magic-wielder responsible for the murder of all but one sorcerer, Cathy and Sam attempt to re-join the worlds. 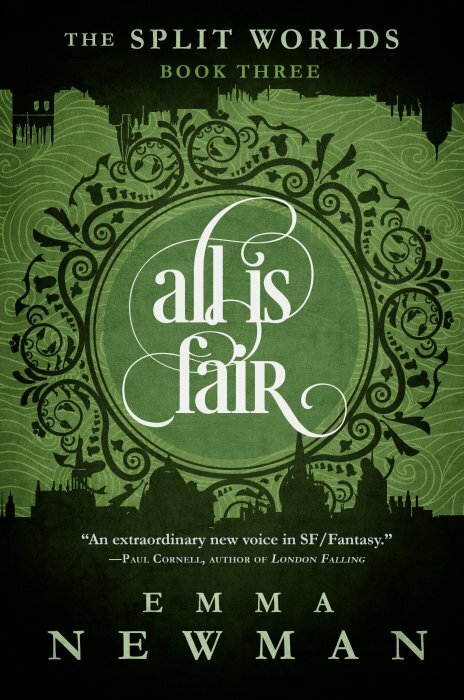 As they worked to bring the worlds together, Will finally stands up to Lord Iris and attempts to gain power over the fae. But power always comes at a price and such decisions are never easy. 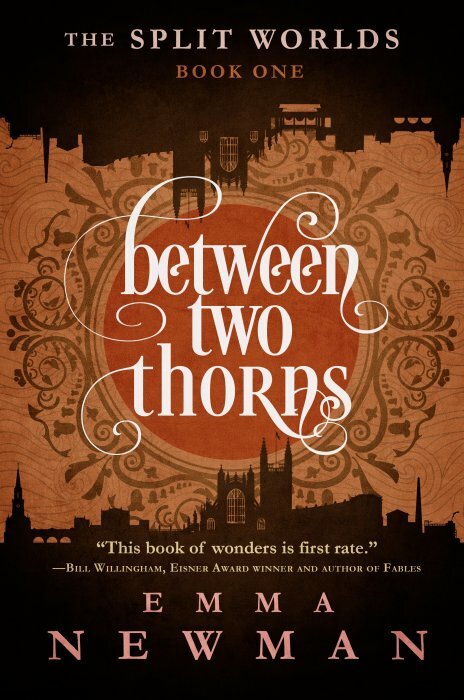 The Split Worlds series is hardly one to take itself too seriously, embracing the fun, entertaining side of fiction. But that doesn’t excuse the lazy use of excessive coincidence. 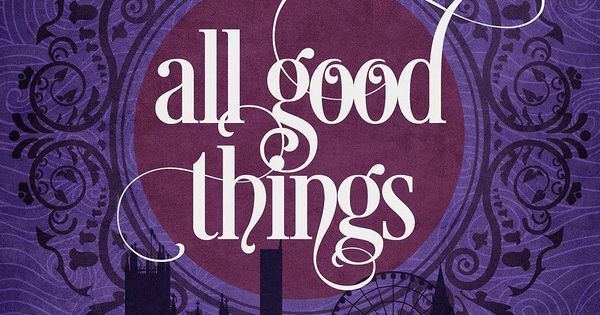 All Good Things is chock-full of undercooked resolutions and deus ex machina. Cathy wants to put an end to the Nether – she meets a powerful woman who wants to do just that *and* has the means to. Cathy has a problem with Bea’s ethics – she happens to have a handy device that will kill Bea. Will wants to find the woman Lord Iris used to be in love with – low and behold he happens to check into the hotel she is also staying in… These are just the tip of the iceberg. Perhaps if she’d hung more of a hat on it or made tongue-in-cheek references to how easy everything happened for the characters, I might have been able to get on board. But as it stands, I just groaned each time a new coincidence manifested to save the day. I have never been a fan of the ‘chosen one’ trope, and while Newman avoids many of the pitfalls, she still falls into a few. Cathy’s potential is a theme that runs through all of the Split Worlds books, a potential which is later defined as ‘destruction’. She is destined to be the destroyer. But of what? Her potential – or fated ‘chosen one’ – manifests in an uncanny ability to pick up sorcery. In the previous four novels, the sorcerers were built up as powerful and their magic as complex and difficult to master. And yet… Cathy picks it up without breaking a sweat. It was all just far too convenient and undermined the set-up of the magic system that had been developed in the other books. 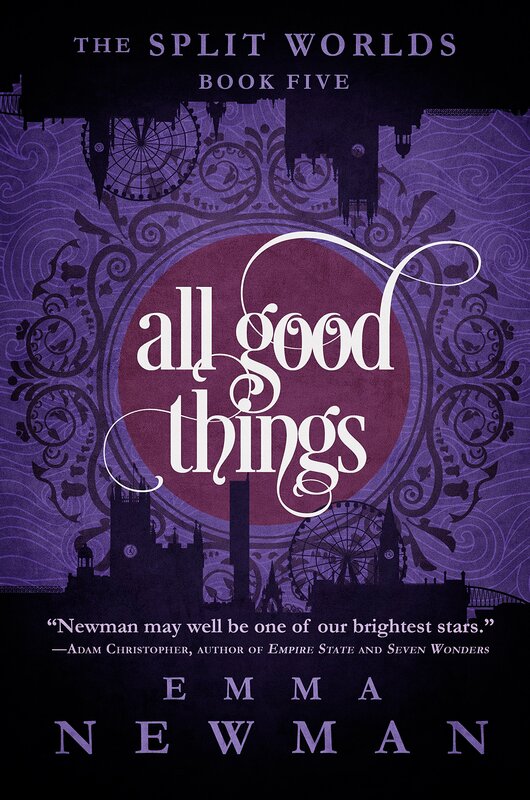 While All Good Things is as readable as the previous entries in the series, I couldn’t help feeling like Emma Newman can do better. It felt rushed and poorly plotted out. There were simply too many balls dropped to make it a solid completion to a light-hearted series. Verdict: A disappointing finish to an otherwise thoroughly digestible series, full of plot contrivances and lacking many characters and plot threads we had previously been exposed to. Previous: The Mummy: You’re cursed!